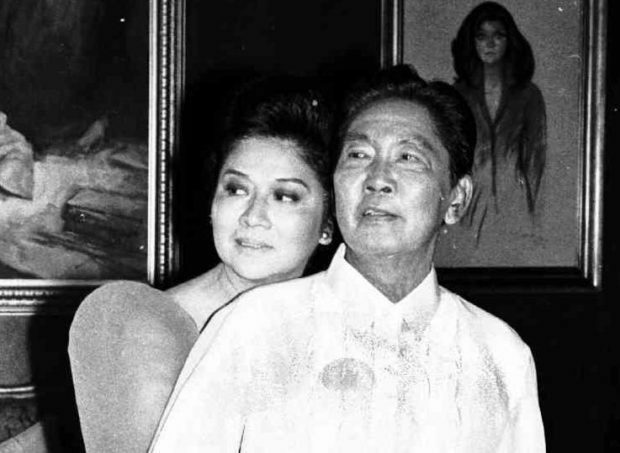 Former President Ferdinand Marcos could also be facing possible arrest if he were alive, as the three cases where former First Lady and Ilocos Norte Rep. Imelda Marcos was acquitted has pointed to the late strongman as mastermind. Sandiganbayan’s Fifth Division said in a decision on Friday that while Mrs. Marcos intervened in acquiring a Central Bank loan for ARCI, a locally-based entity, it was Mr. Marcos who personally participated in its management. ” A review of evidence points not to Ms. Marcos, but to her husband Mr. Marcos, who personally participated in the management, control, and direction of the affairs of ARCI,” Sandiganbayan said in page 68 of its 70-page decision. The anti-graft court said that the crimes committed by Mr. Marcos, who was president from 1965 to 1986, cannot be attributed to the former first lady. “Evidence of her active participation in the management of and control thereof, which is prohibited under Article VIII, Section 11 of the 1973 Constitution, is insufficient,” she added. Mrs. Marcos was found guilty for seven counts of graft as she was involved in managing Swiss foundations and transferring money around $200 million to banks in Switzerland, while she was a Batasang Pambansa member, Metro Manila governor, and Minister of Human Resettlement. While acquitted in two other cases, she is still facing possible jail time of from six years and one month up to 11 years for each count. She is given 30 days to explain her absence during the promulgation, and to file her motion for reconsideration.